Check Out Our Fifth Wheels with Outdoor Kitchens! Are you looking for a fifth wheel with an outdoor kitchen? Well we have plenty of options to choose from! 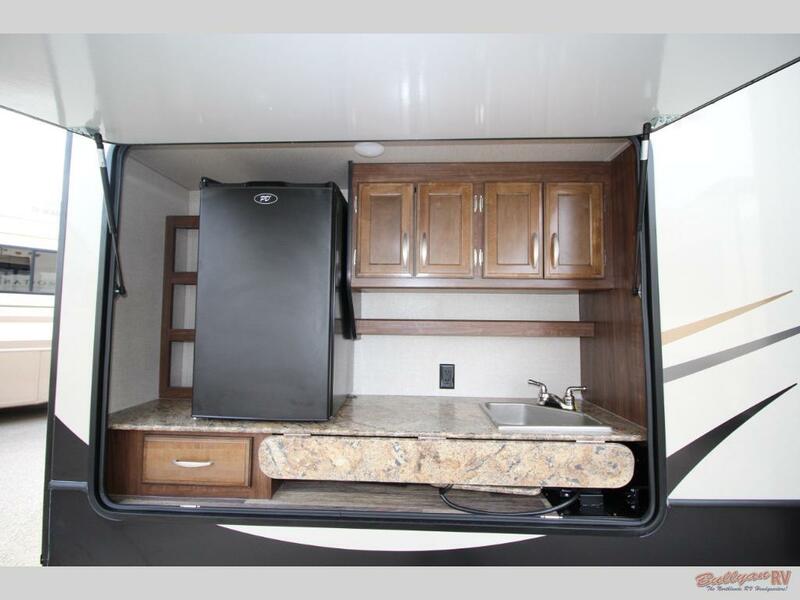 Fifth wheels are some of the most desireable RVs on the market because they are luxury both inside and out, so let’s take a look at some of the campers we have have that not only have amazing interiors but that also come with the addition of an outside kitchen. 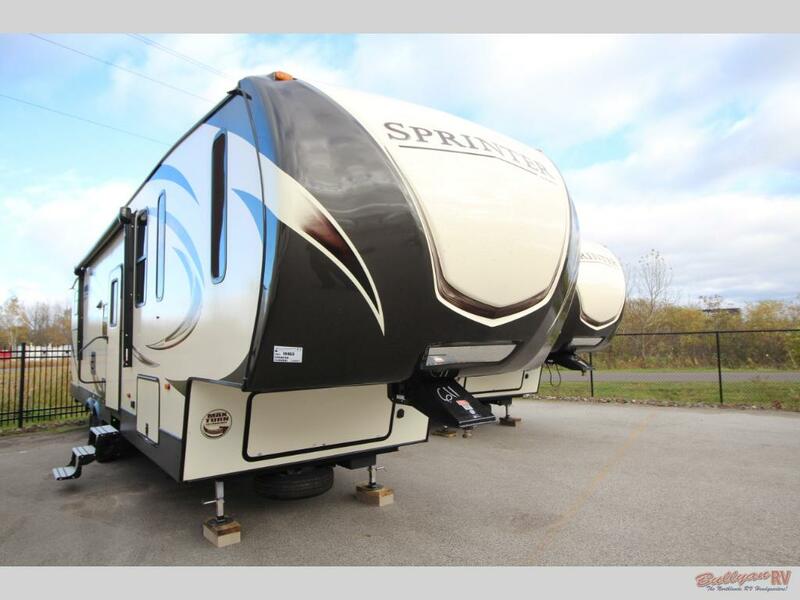 You’ll the features both inside and out on the Keystone Cougar X-lite 28DBI fifth wheel. 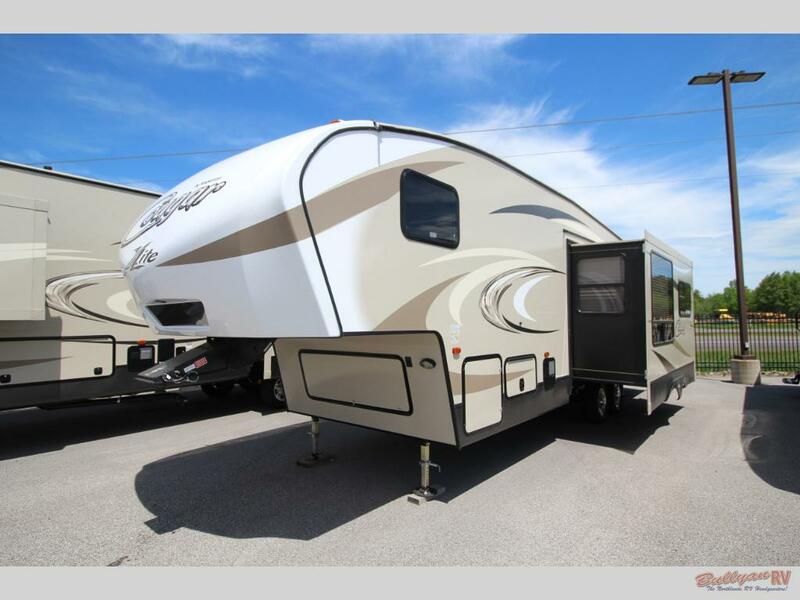 One option is the Keystone Cougar X-lite 28DBI fifth wheel. Not only will you get an incredible outdoor kitchen complete with pull-out fridge, two-burner cooktop, and sink, but it will also have many things to love inside. With two slides, a rear bunkhouse, walk-thru bathroom, and queen sized master bed, you are sure to find things to love in every room! The exterior kitchen of the Keystone Cougar X-lite 28DBI fifth wheel Outdoor kitchen makes cooking more fun! We also have a Keystone Montana High Country 340BH fifth wheel that will have an outdoor kitchen. As a quad slide RV, you will have a large interior with enough space for up to seven people. The separate bunkhouse area in the rear and the front master with queen bed or optional king bed will give everything a place to rest and call home. Find features inside and out on the Keystone Sprinter 34FWBHS Fifth Wheel. For one of the largest fifth wheels with an outdoor kitchen, you do not need to look any further than the Keystone Sprinter 324FWBHS. This option has enough sleep space for ten people including a rear bunkhouse complete with entertainment center, drawers, and toy box to make the perfect, secluded space for the kids in your party. These are just a few of the fifth wheels that come with an outdoor kitchen that we have available. Contact us or come to our location today to check out these incredible RVs for yourself and see just what they can do for you!